I wasn’t with Olark in 2012, so I sat down with our Chief Executive Olarker and co-founder, Ben Congleton to get the skinny on the history of core values at Olark. Sarah: I’m curious how the conversation came up. Who pushed for this to happen? Ben: We wrote the initial draft at our first company retreat in August 2012. Everyone worked together to brainstorm ideas, and we all signed off. I don't remember who's specific idea it was, it could have been mine. I think I had been reading "From Good to Great" and Values are emphasized a lot in it. It could have also been influenced by Sunir (an employee at the time). Sarah: Why did you decide to do it as a whole group, instead of a small group or just as the founders? Ben: We did everything as a group, we were very consensus oriented with 4 co-founders. It wasn’t until 2015 that we transitioned from a flat organization to the structure we have now. So it was just part of our culture to bring this kind of idea to the group and all work on it together. Sarah: What did those original values look like? Ben: We taped giant pieces of paper up on the windows and just started sketching out our ideas. I have the photos! 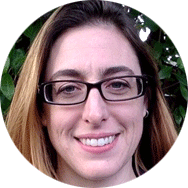 Sarah: What was the planning like for getting from idea inception to company core values published? Ben: I think the values went up on the website in one of our revisions. We've had the values since 2012, and they were added to the website as their own page at some point after Taylor was hired. Looks like they went live in 2015. Matt designed a banner not long after retreat in 2012. I can see them used in interview templates in 2014 generally, and in 2015 we got serious about asking values questions in our culture interview in a formal way. Matt and Kimberly were instrumental in making that a key part of our hiring process. Sarah: Was there any resistance from the team? Ben: The whole team wrote the initial core values, there was no resistance. At some point we started really incorporating them into our hiring process. Occasionally there's been resistance around changing the values, we went from CAMPS to CHAMPS. 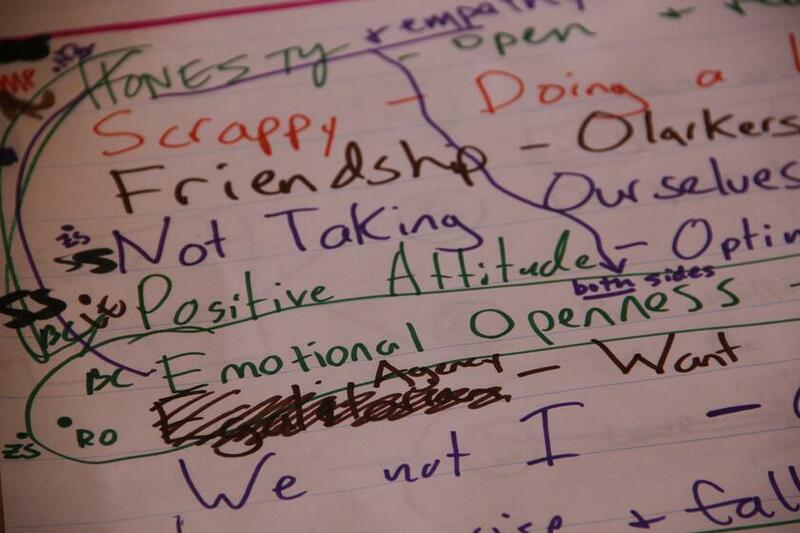 We replaced "Push each other" with "practice Empathy". We’ve never made changes to the values without going back to the whole company and asking everyone to ratify those changes. Sarah: What were the impacts for you as a leader to have values for the team? Ben: Values give you a guide on how to hire, and make tough decisions. They force you to have a higher purpose, they also give you a framework to think through decisions. Ben: We believe in people. I think there's been many times where we've resisted growing into a more enterprise company. Or making decisions that would be to the detriment of the culture we've built at Olark. In particular I think we sometimes believe in people too much, #practice empathy and #assume good faith I think can sometimes get in the way of radical candor, and taking action on performance issues. Ultimately I think we've built a strong culture backed by our values. Our values are also very much around communication, which I find interesting, but not surprising given that we are a company that helps people communicate. Sarah: What piece of advice would you give to a founder looking to create their own core company values for the first time? Ben: Values are only as useful insofar as they are encoded into the practices of your company. For example, you can make a list of your values at any point in your company’s lifetime, but they only become useful when you hire for them, fire for them, and reward based on your values. It’s very easy to write a bunch of words and put them on the wall. It’s tricky to take a stand that might put you at a competitive disadvantage. You may choose to change your values over time based on new information, but the changes should not be taken lightly. In fact you should pick values that you would still hold even if it put you at a competitive disadvantage. If I was starting a company, I would hold off on setting values until I had 4-8 people in the company, and make the initial value setting process collaborative. As founder my job would be to referee, but ultimately values are bigger than any one individual in the company, and I think that the right values come more from the intersection of the venn diagram from the people you choose to start a company with, than some mountaintop vision of the founders. I always enjoy chatting with Ben. Chatting about our values and how they came to be was especially fun. We do still review our values as a team. I was part of that discussion at our 2017 retreat. Knowing that the values are a living document, with input from all employees welcome, helps them to feel more solid. Using them in daily communications and meetings, cements their place at the core of all we do at Olark. I checked in with Matt to get his input on the same final question I posed to Ben, and he echoed this sentiment. 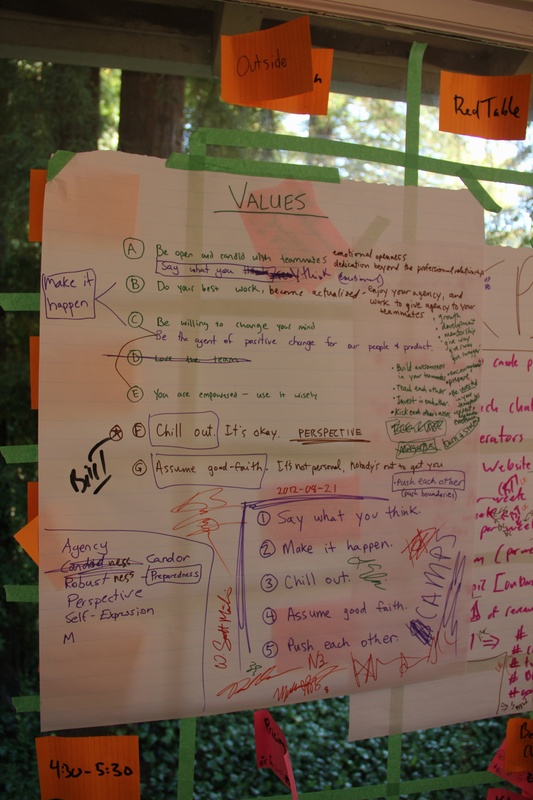 “Whether you're drafting values for the first time, or revisiting values you wrote in the past, find ways you can include your entire team in the conversation. 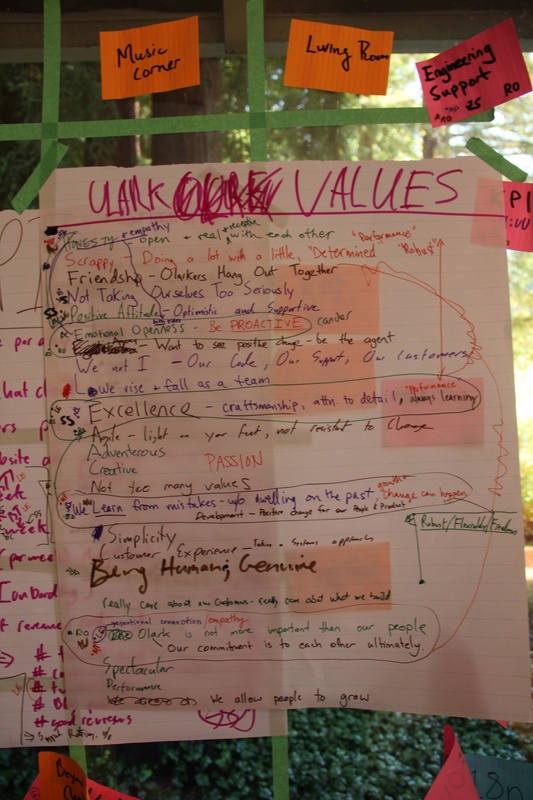 Our core values were birthed in a group discussion and flurry of sticky notes at Olark's first team retreat. As our team has grown, we have regularly invited everyone to reflect on how we're actually living those values, learn from each others' perspectives, and make adjustments to keep each value fresh and relevant. I really love the sense of shared ownership and commitment that has come out of shaping our values together.